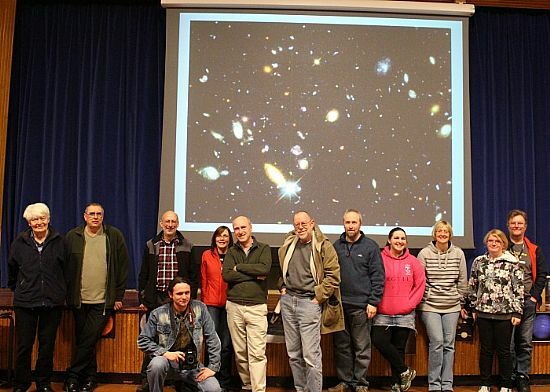 SGL event photos were taken by Maciej Winiarczyk (unless otherwise stated). 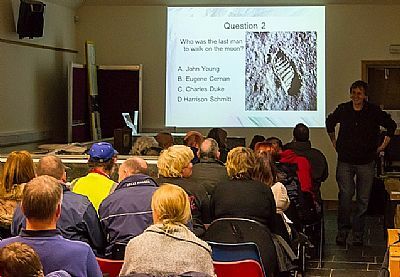 Chairman Gordon Mackie kicked off the evening with a brief introduction and the first half of a two-part talk covering the questions he often gets asked by beginners. 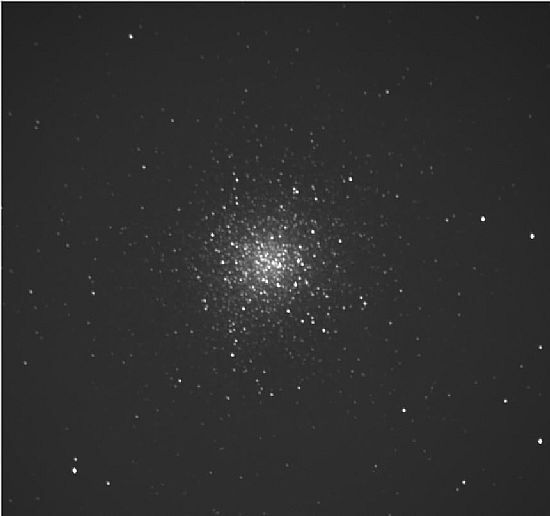 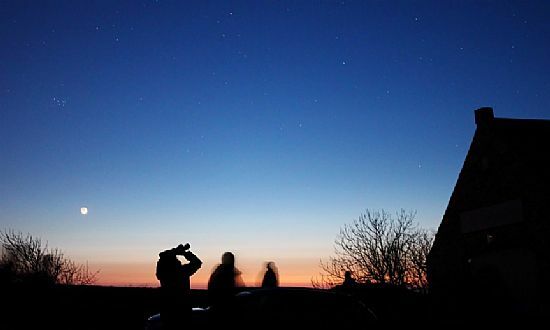 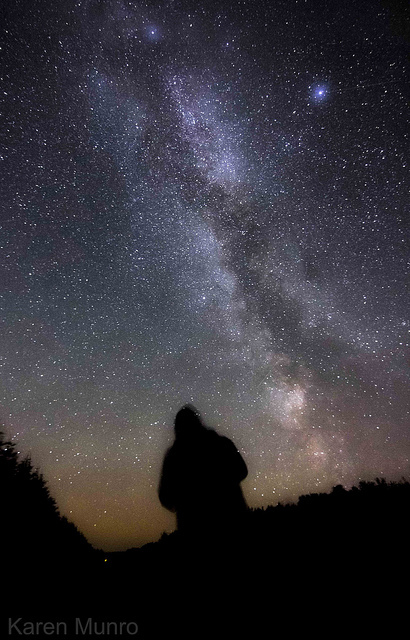 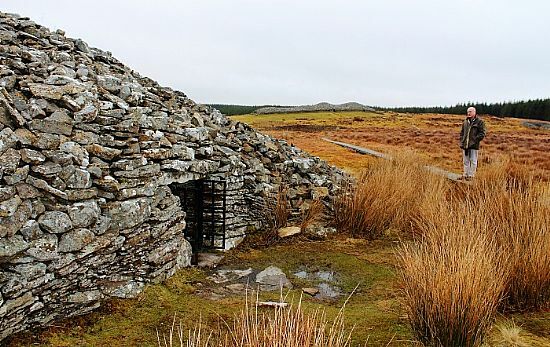 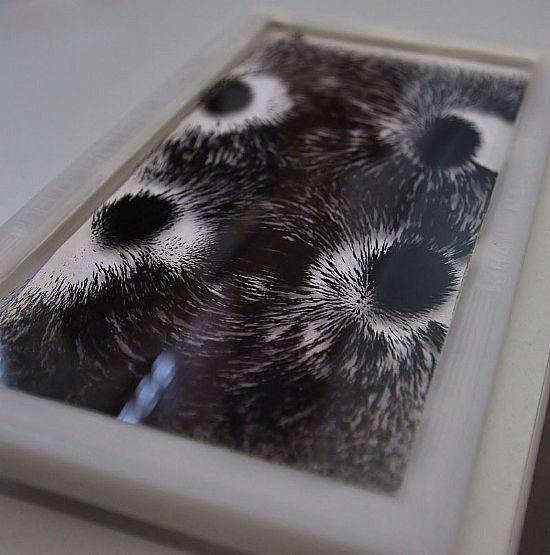 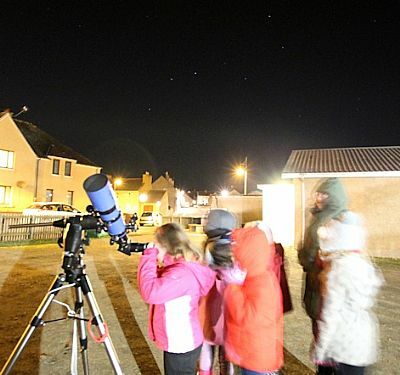 The initial guidance given was in relation to queries on identifying what objects visible in the night sky were and what interesting objects could be viewed with binoculars or a small telescope. 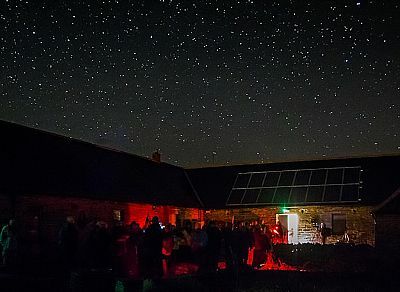 The weather then kindly changed from rain to cloud free skies allowing the assembled audience to spend some time out under the star filled dark skies. 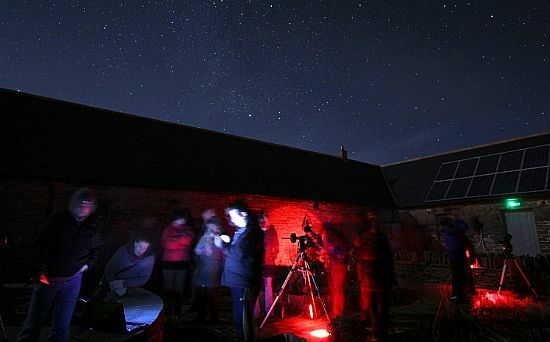 Naked eye tours of the night sky were given as well as the chance to look through telescopes at objects including the giant planet Jupiter and its 4 largest moons, the Orion Nebula and The Pleiades. 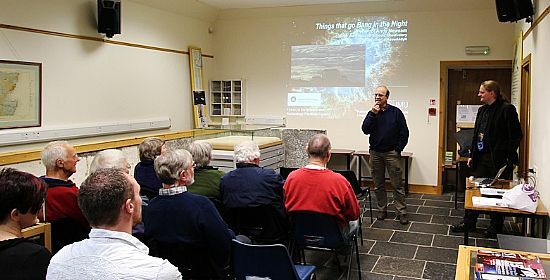 To finish off the evening the Chairman gave the second part of his talk where advice on telescope buying, highlights to see in the sky during 2013 and how to maximise your chances of seeing the northern lights were all covered. 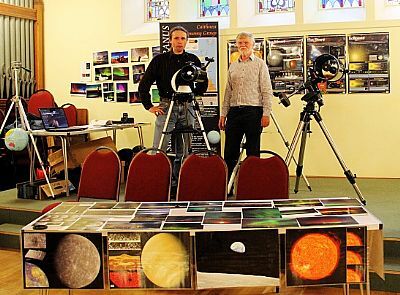 See also - www.flickr.com/photos/kasmunro2/8380156901/in/photostream for another pic from the display on the 13th January. 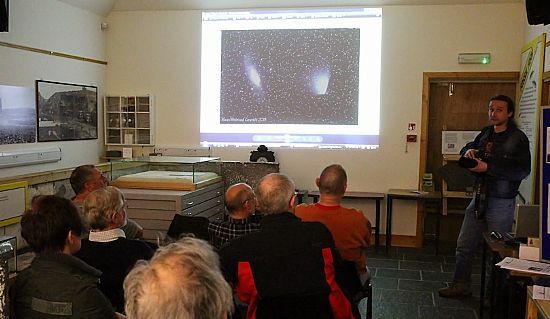 Info related to this event (including useful weblinks mentioned during the talks) can be found in the CAG Library. 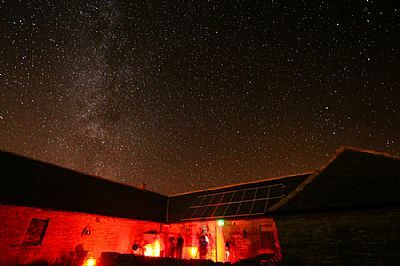 ......not the darkest location, but convenient. 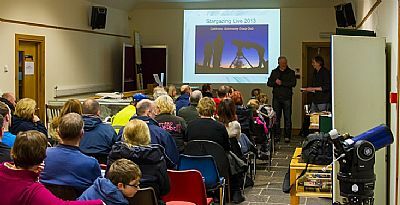 What a busy start to the year. 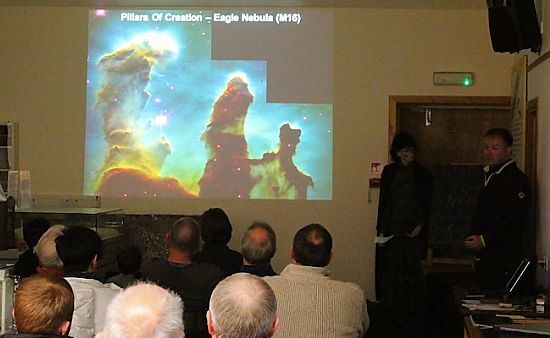 Here's looking forward to more clear skies for our future events! 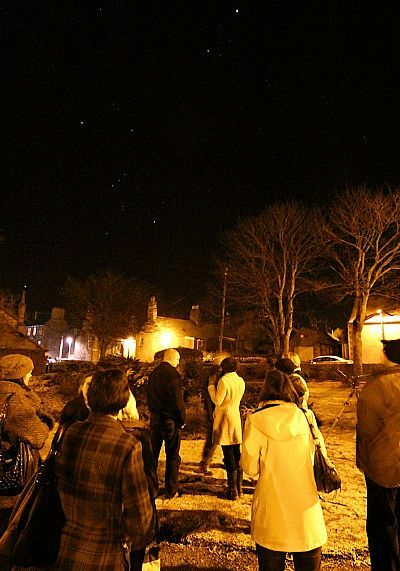 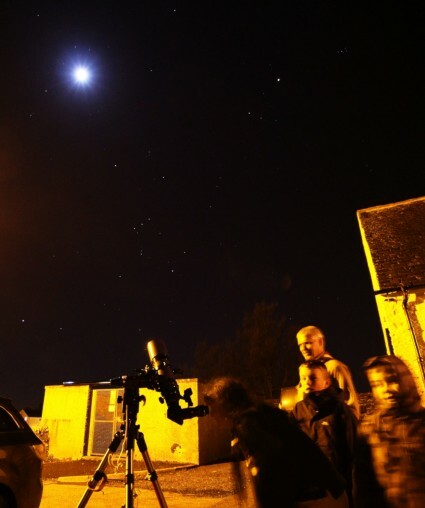 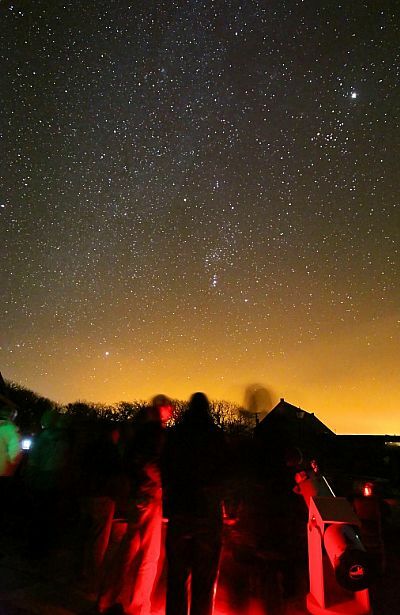 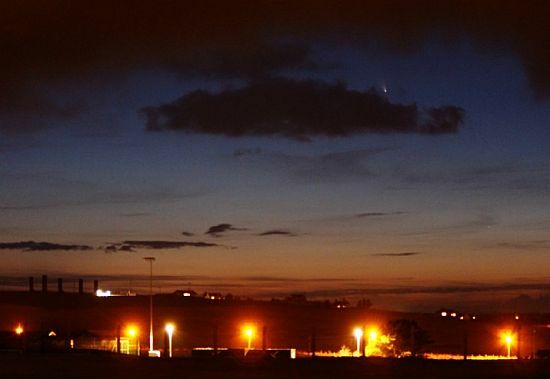 For the second Friday in a row CAG held an observing session at Castlehill Heritage Centre and once again clear skies allowed superb views of the night sky. 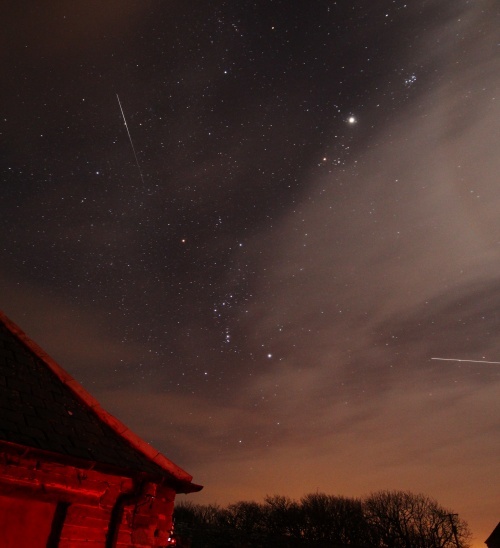 The ISS is bottom right and the iridium flare is top left in the above photo. 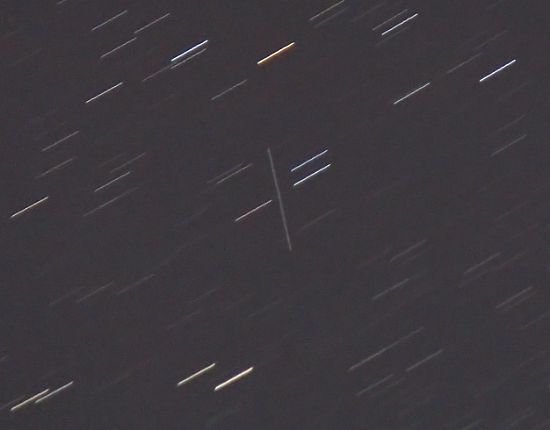 See www.heavens-above.com for details on when to see the ISS and iridium flares from your location. 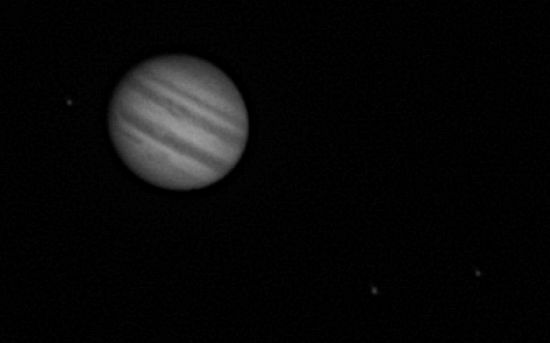 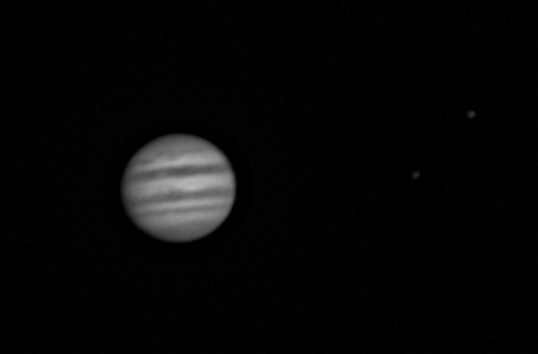 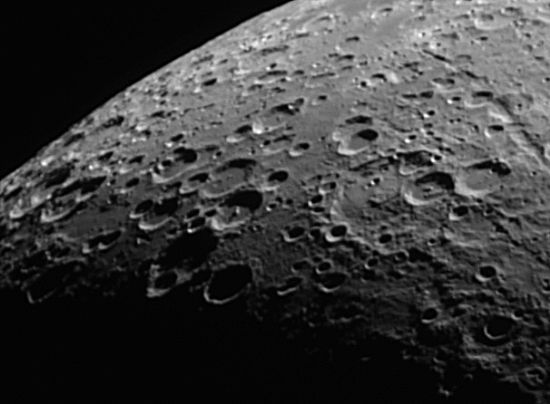 The above pics of the Moon and Jupiter were captured by Maciej Winiarczyk. 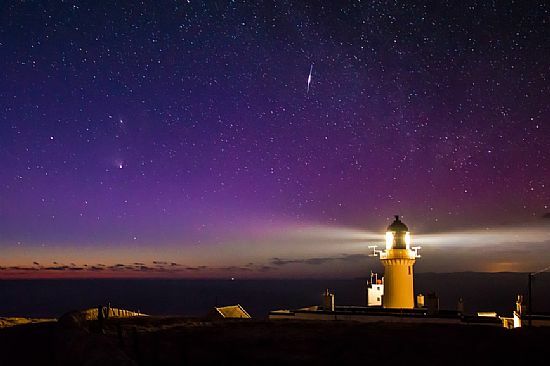 The above long exposure photo shows the asteroid as a light trail that is oriented differently to the trails of the stars. 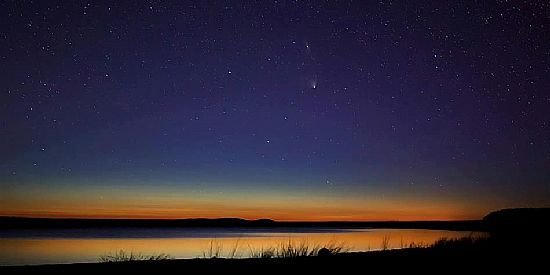 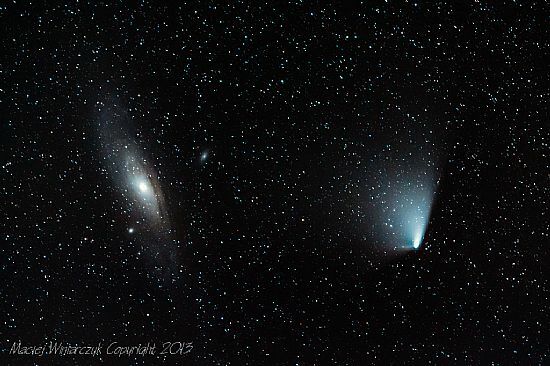 Only things "missing" from the evening was a display of the northern lights and a comet. 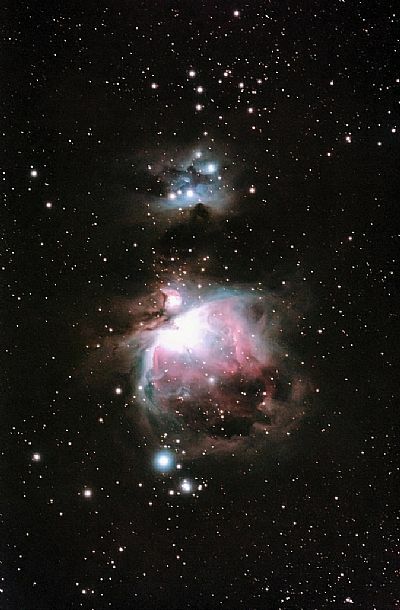 Maybe we'll get them during our March events. 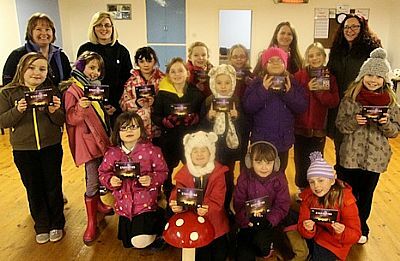 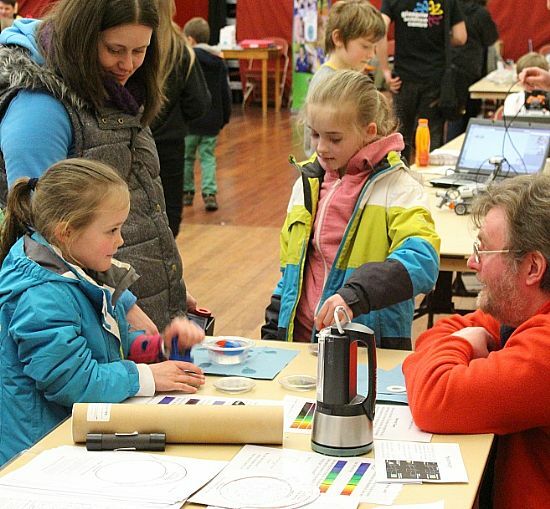 Membership for 2013 was set at £15 for adults and £25 for family membership (the same as last year). 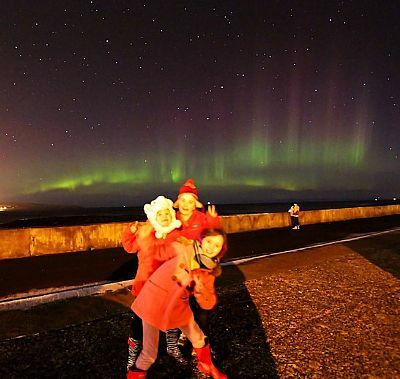 Watch out for the rapid burst of aurora near the end of the clip. 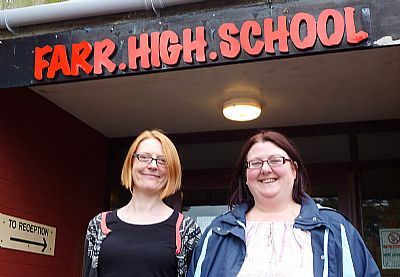 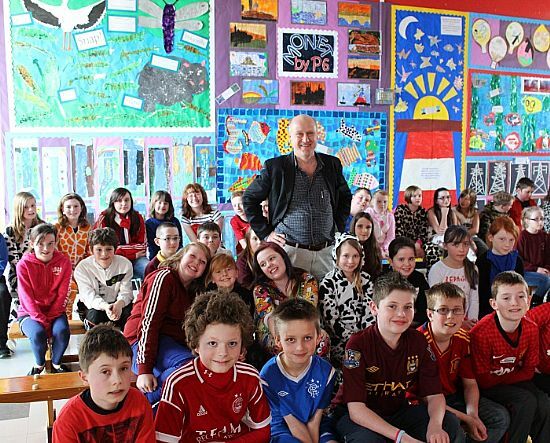 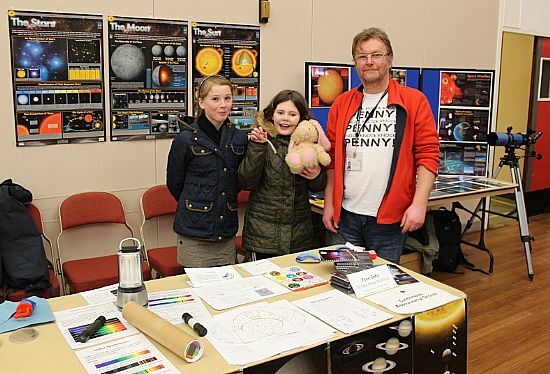 Mid May saw guest speaker Chris Stradling from SIGMA - Moray's Astronomy Club give a talk on the Hubble Space Telescope. 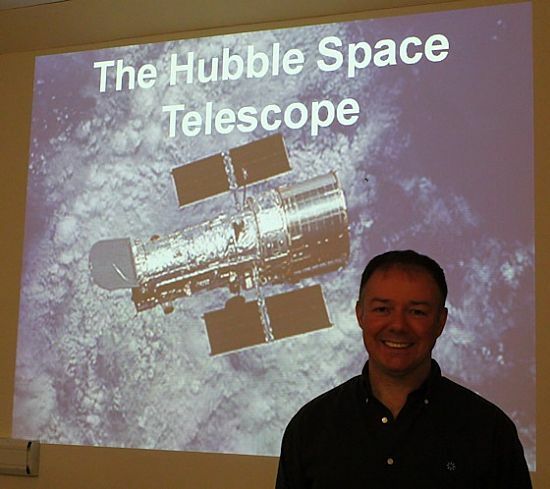 Chris told the story of the telescope, what it has achieved and the work required over the years to enable it to produce the amazing results it has. 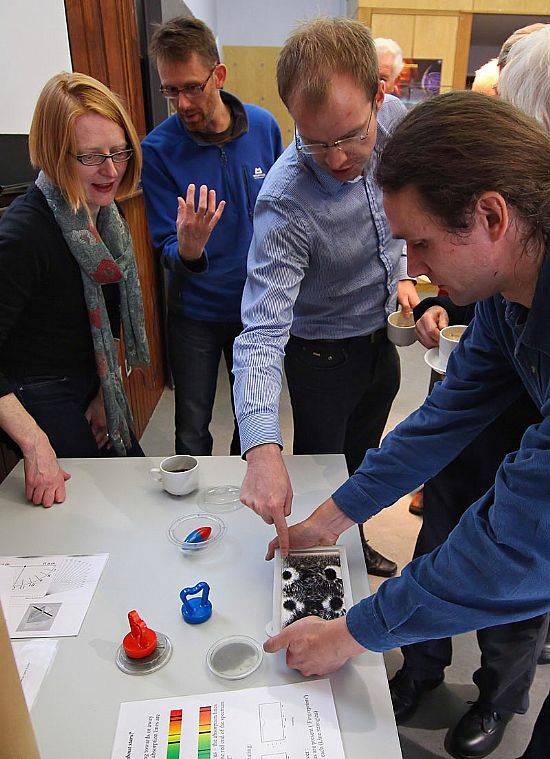 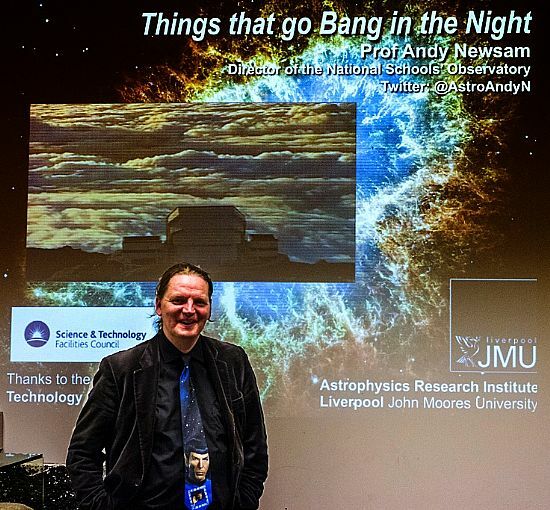 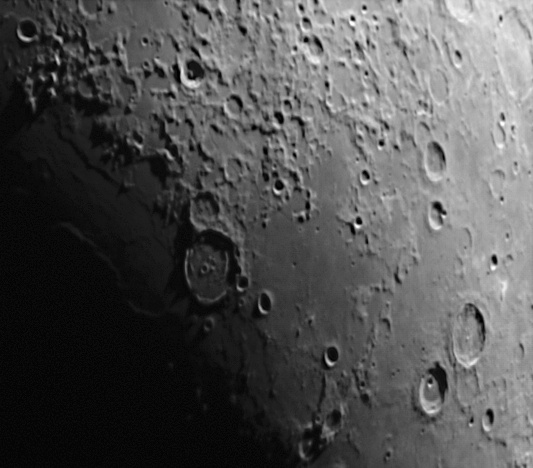 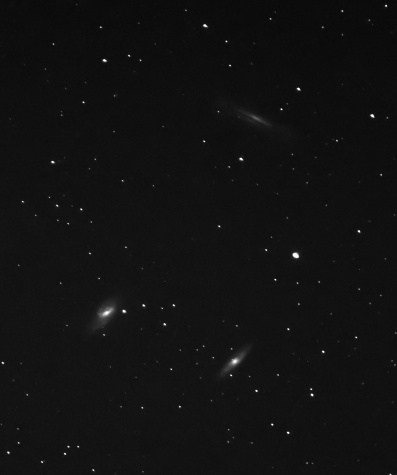 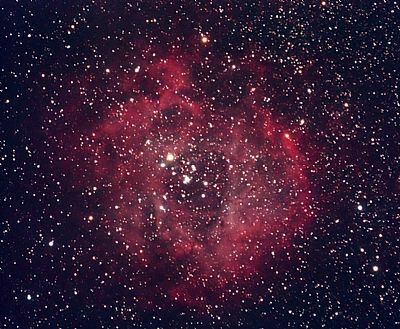 Andy works at the Liverpool John Moores University as the Professor of Astronomy Education and Engagement. 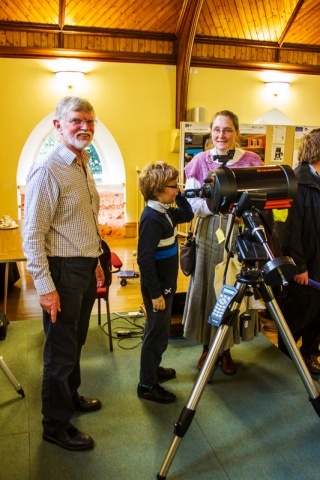 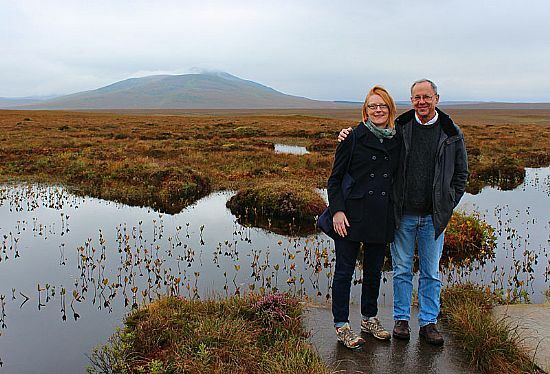 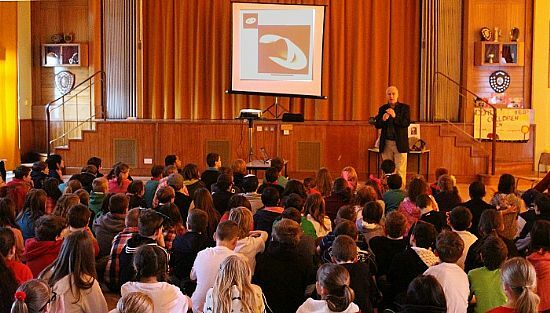 One of his many other roles is as the Director of the National Schools' Observatory, which uses astronomy to enthuse and educate children about science and technology as a whole. 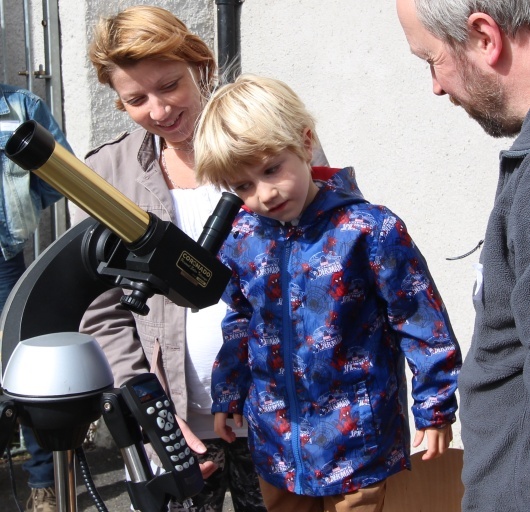 One of the assets available to schools to use is the world's largest robotic telescope - The Liverpool Telescope, which is located on La Palma in the Canary Islands. 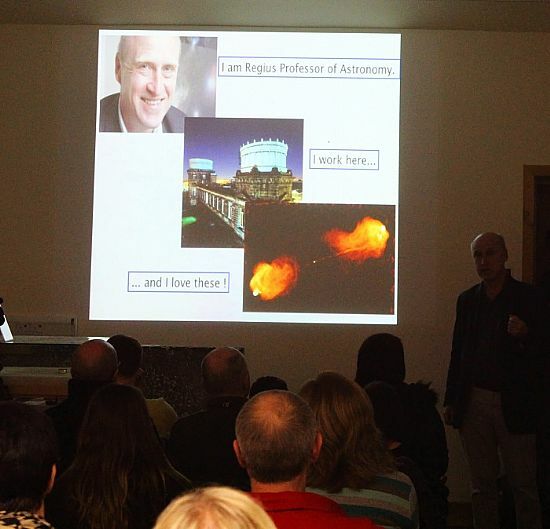 His excellent talk looked at some of the extremes in the universe and how they are being studied. 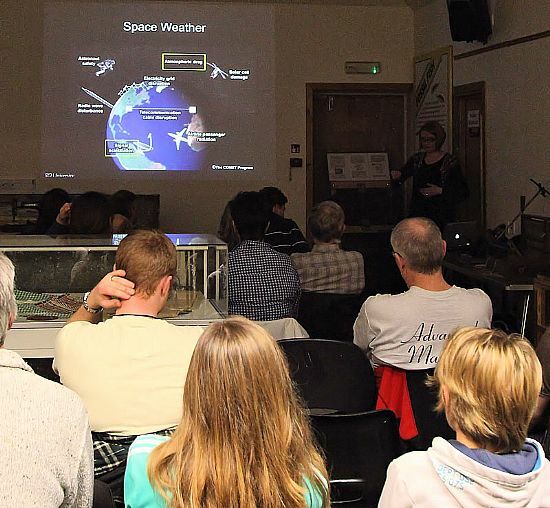 The last CAG event before the summer break saw two CAG members sharing some of their specialised knowledge. 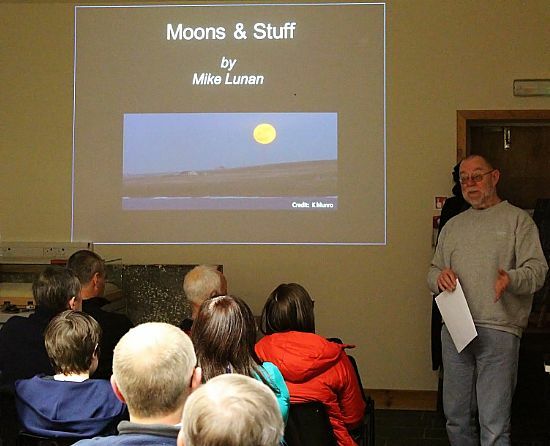 Mike Lunan (above) gave an overview of stellar evolution and how the development of stars is intrinsically linked to their mass. 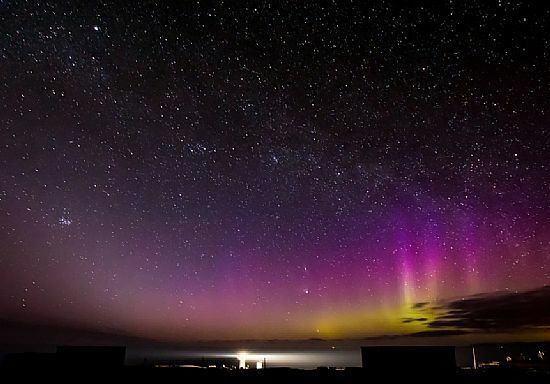 Above is a view of NLCs seen over Thurso Bay on the 10th June 2013. 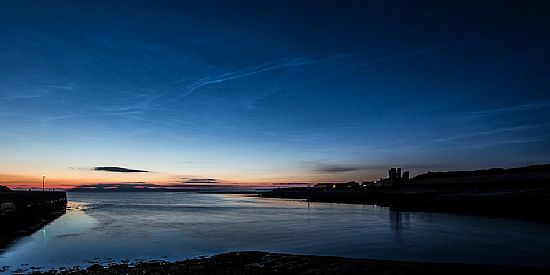 See www.nlcnet.co.uk for more info on noctilucent clouds. 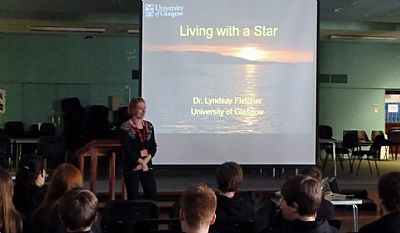 The end of September saw guest speaker Dr Lyndsay Fletcher from Glasgow University visit the area to give talks on our Sun. 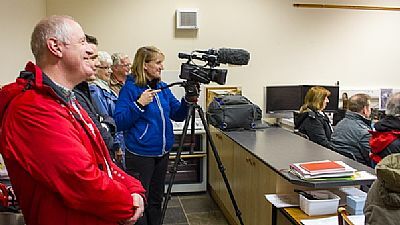 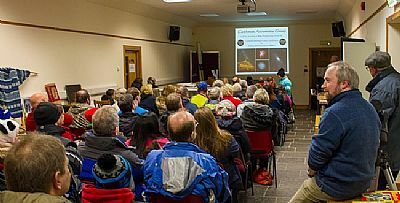 The following afternoon the venue changed to Caithness Horizons where the event kicked off with a look at the observing opportunities in Caithness. 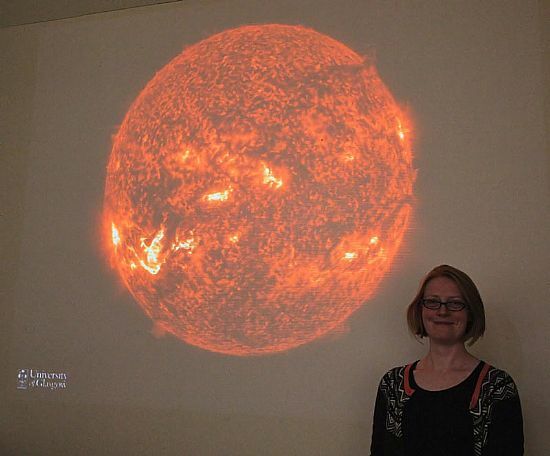 Dr Fletcher then gave a talk on the science studies being undertaken with the Solar Dynamics Observatory - a telescope in space that continually takes stunningly detailed images of the Sun. 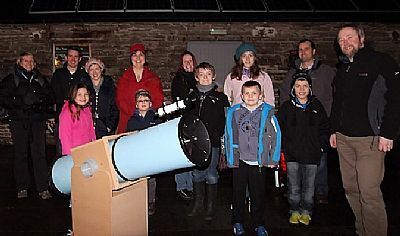 Maybe next time they visit the grey skies will be replaced with some dark star filled vistas! 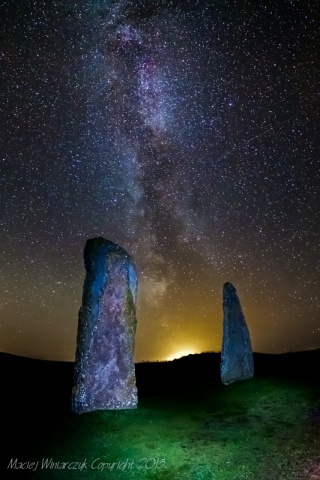 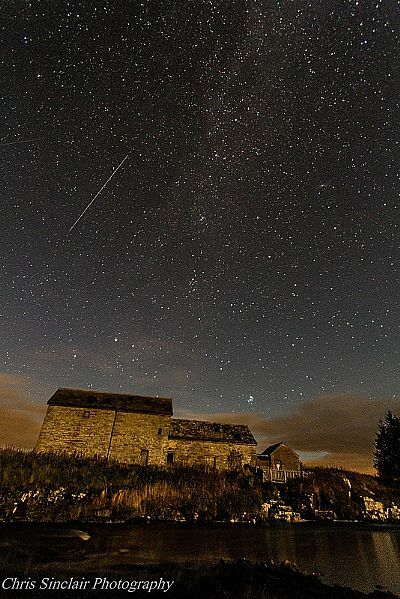 Above image of a moonlit scene at Westerdale was taken by Chris Sinclair. 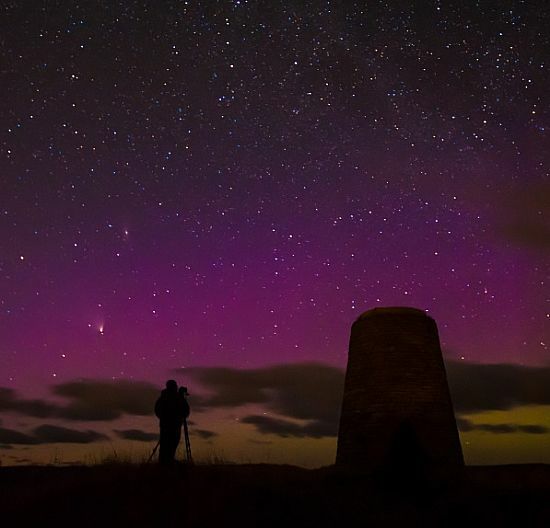 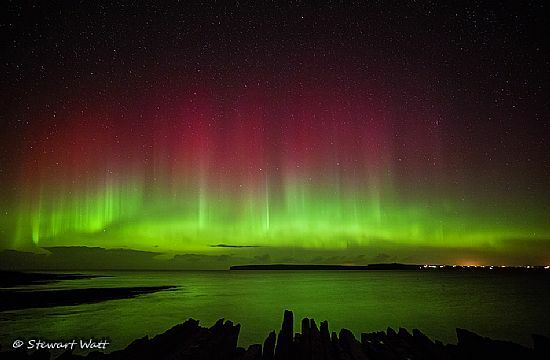 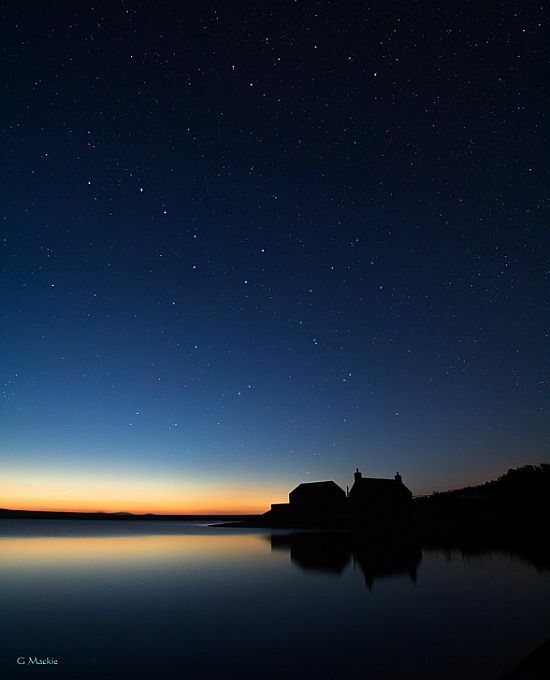 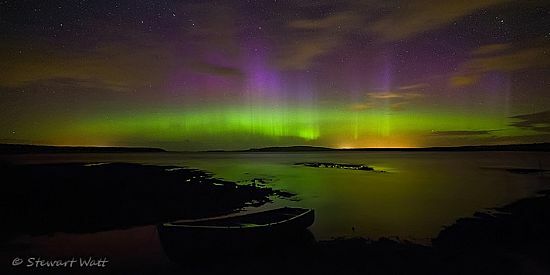 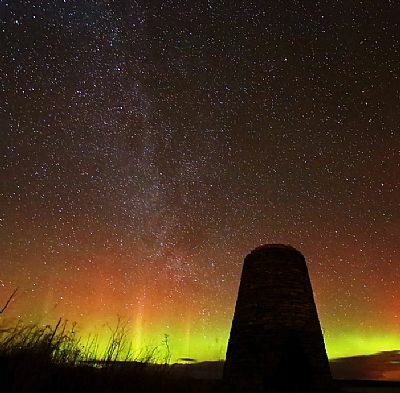 The above photo of the spectacular aurora on the 30th October was taken at Castletown Harbour by Stewart Watt. 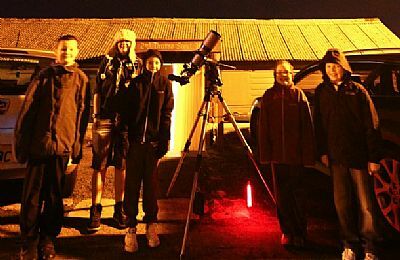 Several CAG members were lucky enough to enjoy the light show that evening. 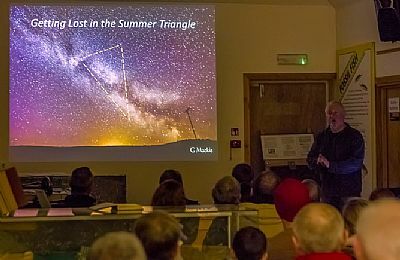 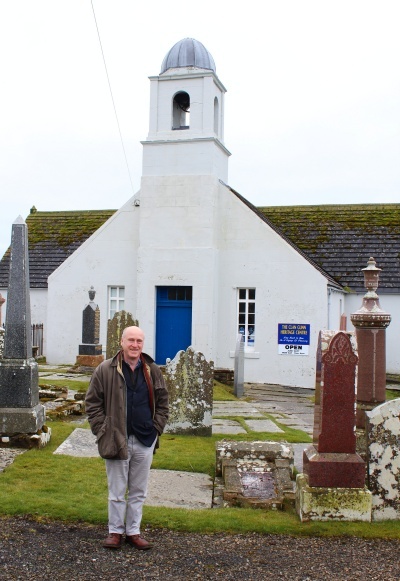 November 1st saw a good turnout for a an event where CAG chairman Gordon Mackie gave a talk on the objects of interest in the sky near the Summer Triangle. 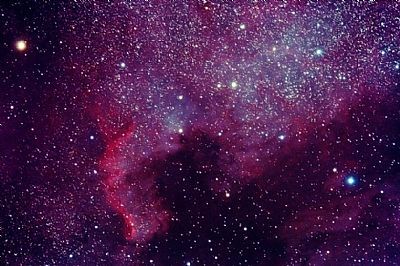 The above images are prime examples of this. 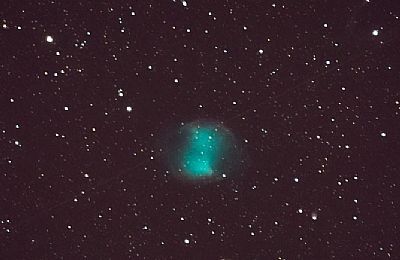 They show the Dumbbell Nebula and the North American Nebula, both named because of their shape. 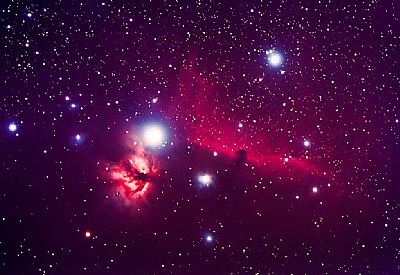 The above images show the Orion Nebula, Rosette Nebula and Horsehead & Flame Nebula.